When I was a little girl, nothing was better than sitting down to watch the majesty that was Jim Henson’s Muppets. Even as an adult, when I run across the original Muppet Movie or the Muppets on TV, I’m instantly glued to their shenanigans! 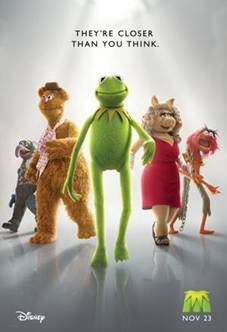 You can only guess how thrilled I am that a new Muppets movie is coming out just in time for the holiday season. That’s right, on November 23 you’ll find me somewhere I never venture on a holiday weekend…the movie theater. I don’t know what’s better! That or Kermit with amnesia in the Muppets Take Manhattan. You tell me, I’ve shared the official trailer below. I’ll be seeing you at the movies!